Fable Cigars is celebrating the release of their first cigar called Fourth Prime. The cigar is made at Nica Sueno and we'll talk to Matul and Sean about bringing a new cigar to market. Surgeon and Rob sit down to pair the Cigar Federation exclusive The Collective from 2014. Java The Hut Coffee Milk Stout by Fernie Brewing Co. 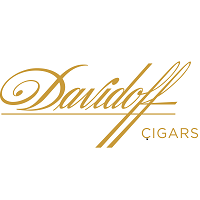 Surgeon sits down to review this Short Corona cigar from Davidoff Nicaragua. Surgeon sits down to review the Rocky Patel Tabaquero by Hamlet Paredes in the Salmon vitola. 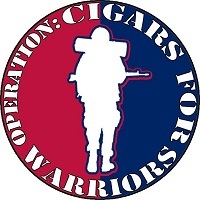 We will have Storm from CATS and Cigars for Warriors with us to chat about CATS Fest 4 and what has been going on in the world of CFW. Surgeon sits down with guest co-host Logan, the MFNCEO of Cigar Federation, to pair some cigars with hot tea. Logan pairs a Surrogates Satin Glove with 3 different English Breakfast teas. The Sith had their Revenge and the Jedi had their Return, but never both! 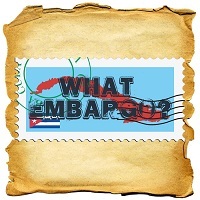 Well, join us on What Embargo? : Book II, Chapter VII for the Return and Revenge of Catfish. Surgeon sits down with Claudio Sgroi, President and Master Blender for Mombacho Cigars. Rob sticks around to chat for a bit, but was feeling under the weather so wasn't able to participate in the pairing. 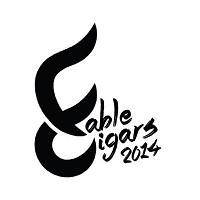 Surgeon sits down to review the 2012 Canadian Regional Edition Vegas Robaina release. Surgeon and Rob sit down to pair some Drew Estate cigars, along with guest Johnny Brooke from Drew Estate. Kelp Stout by Tofino Brewing Co.
Black Sam Licorice Stout by Lighthouse Brewing. Prairie Artisan Ales - Bomb! In the after dark segment we talk home brewing and coffee roasting and preparation methods. Surgeon sits down to review the Mombacho Magnifico 10th Aniversario cigar. Join Yellow Snapper and Big Tuna as we pair some Habanos with white wine. We're pairing an Hoyo Epicure de Luxe with a Chardonnay and Sauvignon Blanc! Let's see how this goes.